Often, we are too slow to recognize how much and in what ways we can assist each other through sharing such expertise and knowledge. You can add your favorite sweet potato pie recipe here. Please feel free to share any pie tips and suggestions you might have as well. We all have a passion for pie! 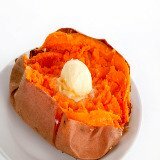 Why not choose a pie that that has all the nutritional benefits of the sweet potato? It's a sweet way to get your children to eat sweet potatoes, too! 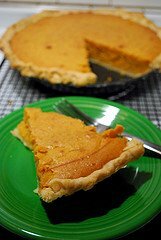 Have A Great Sweet Potato Pie Recipe to Share? Do you have a great sweet potato pie recipe that your friends and family rave about? Our visitors would love to try it! Please do include a photo if you have one, using the Upload a Picture feature below!